Alexei Kervezee took his first wickets in Championship cricket to put Worcestershire in a strong position on the third day at Hove. Having removed Matt Machan (55) before lunch, the off-spinner added the impressive scalps of Luke Wright (21) and Ed Joyce (82) in the afternoon session as Sussex reached 235-6 at tea, a lead of 191. Kervezee’s only two other first-class wickets had been for Ireland in 2008 but extra bounce surprised Wright, who could only fend the ball to short leg. 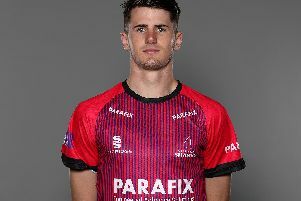 He then claimed the key scalp of Joyce, who had looked in excellent form until Kervezee got a ball to turn sharply out of the rough and the Sussex captain was caught at second slip off a thick edge, having faced 149 balls and hit seven fours and a six. Charlie Morris had earlier trapped Craig Cachopa for a duck with the second ball after lunch and Jack Shantry returned to the attack before tea and picked up Ben Brown for a composed 44, when he played all around an inswinger.